I’ve got my ticket to Bluesfest 30th Anniversary. This is what I’ll be doing at Easter – Why not join us. THANK YOU FOR MAKING 2018 ONE OF OUR BEST FESTIVALS YET! 5 Apr 18 - Wow, what a special 5 days we've just had. We hope you got home safe, and that the music and energy of Bluesfest will carry you through another year.  BLUESFEST AND DOUBLE J ANNOUNCE SPECIAL LIVE BROADCAST! BLUESFEST & BOOMERANG FESTIVAL JOIN FORCES AGAIN IN 2018! R&B’S BRIGHTEST STAR MS. LAURYN HILL ANNOUNCED! Powerful women with stories to tell join Bluesfest 2018’s massive line up! Single day tickets are on sale today from 9am. Tickets are selling fast! Secure yours now. Our biggest first announcement ever! Patti Smith and Bluesfest Touring win Best International Contemporary Concert! Time to pay is back! 3 Day Ticket Fever! Fun, Facts and Figures! The Reasons that make Bluesfest so special and a whole lot more! Open Single Day tickets for 2018 are on sale NOW & heaps more! WIN BIG with the FUN annual Bluesfest Quiz! Our Bluesfest Highlights Finale Video has arrived! Peter Noble talks about the past, present & future! 5 day early bird ticket sale will be over very soon! 2018 Five day Early birds are flying away fast! Charity Stalls at Bluesfest 2017! Going down the wondrous memory lane! Winners of 5 Lifetime Double Festival & VIP Passes Announced! 5 Day Pre-Early Birds 95% Sold Out! News: Coming to Bluesfest in 2018? Pre-early Bird 5 Day Tickets almost Sold Out! News: Rise Above The Flood Appeal a huge success! & 5 Day Pre-Early Bird Tickets on sale NOW! We are only 7 days away from Bluesfest 2017! Bluesfest is saying Good Bye to Drink Tickets! Only 22 days until Bluesfest 2017 kicks off! New Artist Announcement Plus full playing schedule released! There is only one Bluesfest – and it’s coming to you with bells on! 12 reasons to come to Bluesfest in 2017! Only 83 days until Bluesfest 2017! Bluesfest scores exclusive Australian Jimmy Buffett performance for 2017! Your Bluesfest Team wishing you a wonderful Christmas and a happy 2017 Bluesfest! Barry Gibb Australian & New Zealand Tour cancelled! Grammy Nominees announced – Congrats to 5 Bluesfest 2017 Artists! Win 5 nights at the 5 Star Elements of Byron Resort for Bluesfest and yes, Christmas is JUST around the corner! Neil Young cancels Bluesfest 2017 date! Staying up with Bluesfest News! Zac Brown plays 3 times at Bluesfest! Bluesfest introduces Sir Rosevelt – Zac Brown’s Brand New Band - for their Australian Premiere & Only Show! Bluesfest News + so much more! THE ANNUAL BLUESFEST BLUES ANNOUNCEMENT! IT’S A MAD BLUESFEST ANNOUNCEMENT! Unprecedented ticket sales and more announcements coming soon! All 3 and 5 Day VIP tickets sold out! What a BluesFEAST it’s been and it’s one to be continued! BLUESFEST IS ON A ROLL! THIRD ARTIST ANNOUNCEMENT COMING TO YOU THIS THURSDAY 9AM! BLUESFEST SERVES UP ROUND TWO OF ITS PHENOMENAL 2017 ARTIST LINE UP! OUR BIG 2ND ANNOUNCEMENT IS JUST AROUND THE CORNER! THE FIRST ARTIST ANNOUNCEMENT DATE HAS ARRIVED! WHY YOU NEED TO BUY TICKETS BEFORE THEY GO OFF SALE! Hurry – the clock is ticking! ARE YOU READY FOR THIS BREAKING NEWS FROM BLUESFEST?! LIMITED ALLOCATION OF TIPIS NOW ON SALE ! & The Bluesfest Quiz of the Year! GUESS HOW MANY BUBBLES WERE BLOWN AT BLUESFEST? All THREE Day Tickets on sale NOW! NEWS , NEWS and More NEWS – Not to be missed! ENDS. WITHIN. NEXT. 7 DAYS! Are you interested in some fascinating Bluesfest history and more? If that's a yes - here you go! 21 Apr 16 - Are you interested in some fascinating Bluesfest history and more? AND 2017 Pre-early Bird Tickets on sale NOW! The countdown is on! PLUS, all the latest NEWS you don’t want to miss! Festival fever is in full swing & the excitement is growing! THE BLUESFEST APP HAS ARRIVED! Plus more news not to be missed! No Way – Only 31 days to go! 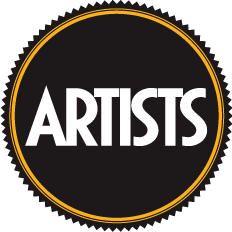 Bluesfest 2016 Artists taking the TOP spots in the Music World! Only 72 days to go! Your 16 Reasons to be at BLUESFEST in 2016! Bluesfest 'Presents' This Merry Christmas Announcement! It's all happening at Bluesfest - Check it out! Latest Announcement: WE SURE GOT THE BLUES! A Heart Full of Soul Announcement featuring D’Angelo & more sensational artists! A JAM PACKED BLUESFEST UPDATE! Announcement feedback, Pollstar award nomination, new look playing schedule, ticket 'time to pay' for Christmas & more! BRIAN WILSON PERFORMING PET SOUNDS LIVE AT BLUESFEST! MUSIC ROYALTY TOM JONES & NOEL GALLAGHER ARE COMING TO BLUESFEST! Our 2nd BIG announce will be on WED 23 SEP! The latest news about our 2nd artist announcement! LIMITED SINGLE DAY TICKETS ARE NOW ON SALE!!! The First 2016 Artist Announcement shows what Bluesfest is made of! NOW released - Our First Major Artist Announcement Date for Bluesfest 2016! Tell us what you think and go in the draw for a VIP upgrade! 39 Fun Facts & Figures From Bluesfest 2015! Day 4 of Bluesfest 2015! Day 3 of Bluesfest 2015! 2 Sleeps Until Your Favourite Festival Begins! There is only ONE Bluesfest! Thursday @ Bluesfest Final 2015 Artist Announcement 4 hits & 1 miss! Don't miss this latest update! ARTIST PERFORMANCE TIMES & STAGES ANNOUNCED! Hot off the press - 2nd Hozier Bluesfest show announced! The latest news from Bluesfest! Bluesfest is over 70% sold out! The very latest from Bluesfest! BLUESFEST NEWS, UPDATES + MORE! Third Artist Announcement out now - it's a Cracker! Two Down - Many More Artist Announcements To Go! The 2nd Artist Announce is comin' up around the bend! Bluesfest 2015 - 1st Artist Announcement! All ticket prices are going up before the 1st artist announcement! The 1st Artist Announcement, Ticket Alert & Bluesfest Touring News! Competition: Win a Vip Upgrade PLUS a Backstage Tour at Bluesfest 2015! Single Day Ticket Pre-sale on now! Pick your day later and save! Everyone loves good Bluesfest news! Bluesfest Ticket ‘Time to Pay’ is now available. RocKwiz Bluesfest Special repeat this Saturday 5th of July! 20 Jun 14 - Time: 9.30pm – Monday 23rd of June! It’s not too late for Early Bird Tickets! ACT now! Yes. IT'S happening again – ooohhhh so soon! Another Bluesfest sale is coming to an end shortly! All 3 Day Tickets are on sale NOW! The savings are unbelievable! Final call for 5 DAY Pre-early Bird Tickets! Only hours to go now! Will Bluesfest sell out of 5 day Tickets before the 1st Artist Announcement? 5 Day Pre-early Bird Tickets are now 92% sold out! Pre-early bird 5 Day tickets over 80% sold out and selling VERY strong! Fascinating Facts From Bluesfest 2014! Only 13 days to go! Such happy days leading up to Bluesfest! Bluesfest - Your experience of a lifetime! Only 22 Days to go! A Bluesfest MUST-READ! 5 Day Tickets are close to sell out! BIG NEWS: Artist Stages & Playing Times announced NOW! See you in 8 weeks! Why YOU have to be at Bluesfest! Bluesfest is only 100 sleeps away! * NEW VIP Venue launched at Bluesfest! * Exclusive Sunset Club Membership available NOW! It's time to DANCE to the AFRO LATIN DISCO SOUL BEAT! 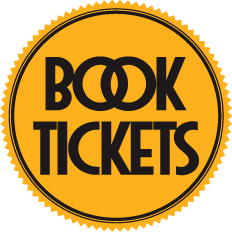 25th Bluesfest Souvenir Ticket available now! Bluesfest Next Artist Announcement News! Damn right we got the Blues! This time ... it’s all about the BLUES! Jack Johnson headlines 3rd Artist Announcement! Second Artist Announcement: It's Here! The 25th Bluesfest 2nd Artist Announcement is just around the corner! Are you ready for the FIRST 2014 Artist Announcement? 1st Artist Announcement News & Important Ticket update! 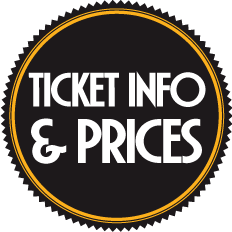 Bluesfest 5 & 3 Day Ticket prices will increase within 48 hours! Bluesfest Ticket Update! Extra Large Vehicle Camping Sites - On Sale Tue 2 July! Early Bird 3 Day Tickets on sale for 2014! Bluesfest 2014 - Full Steam Ahead! Early Bird tickets are now on sale! Fun Facts & Figures from Bluesfest 2013! You better do it right now! There's been a massive surge in ticket sales over the past week! There's no time to wait! Get a Bluesfest move on! BLUESFEST SCORES BIG WITH THE GRAMMYS !!! ONLY 6 weeks to go - Ooh La La! 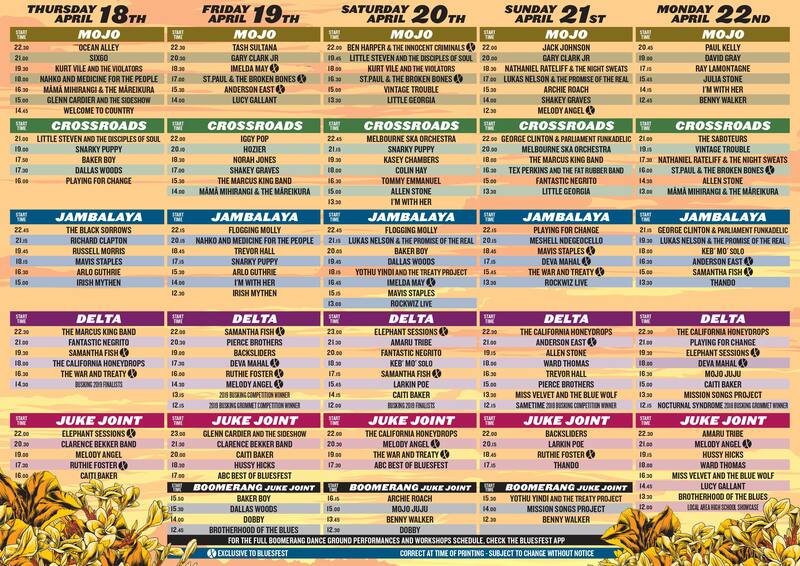 Artist Stages & Playing Times NOW announced! Only 78 days to go to the best Bluesfest ever! The BLUESFESTIVE Season has officially begun! It's a Very Merry Artist Announcement! Special Artist Announcement: Paul Simon to headline Bluesfest on Easter Monday! Third Artist Announcement News not to be missed!! A bright and early MEMBERS ONLY presale. Bluesfest 2nd Announcement: It's all about the Blues & Roots! Get out your diary! 2nd Artist Announcement News! The First of Four Fantastic Announcements! Early Bird Tickets now 98% sold out! 5 Jul 12 - Some words from your Festival Director - Peter Noble. "It may seem so long ago that Bluesfest happened to many of you. 5 Month Time To Pay Tickets extended to the 3rd July!!! - This is your last chance!